Pro bono work has been and will remain a cornerstone of our mission. We recognize the responsibility that comes with the privilege to practice law – the responsibility to use our skills to give the most vulnerable members of our community a voice and a chance at justice. Starting with a focus on basic human needs – health care, housing, education, employment and a safe living environment – the firm’s pro bono activities extend more broadly to representations bearing on other essential attributes of a just and humane society. 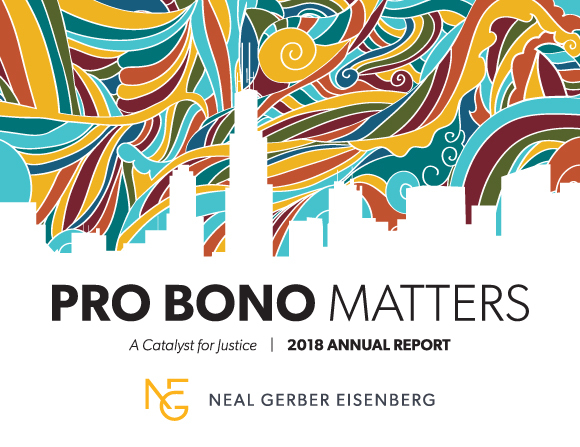 We invite you to take a few minutes to review the extraordinary range of the firm’s pro bono activities in our recent pro bono reports. While time is the most precious resource that any of us has, time is exactly what our attorneys dedicate in spades to furthering the public good. As a gold-level member of The Chicago Bar Foundation Law Firm Leadership Circle, we have established the goals that each of the firm’s attorneys will devote at least 50 hours per year to pro bono, and that the firm averages at least 50 hours of pro bono service per year per attorney. All associate hours spent on approved pro bono work count as billable time, without any cap. The heart of a good pro bono program is the provision of free legal services to low-income individuals who otherwise would not receive legal assistance. While a large portion of pro bono hours at the firm is devoted to this kind of representation, our attorneys are also engaged in the representation of charities and other non-profit organizations that lack the means to retain counsel. As gratifying as it is to help an individual pro bono client who otherwise would have been denied access to justice, it can be equally rewarding to essentially help thousands of people – including those seeking a good education or decent housing, are afflicted with a serious illness, or are attempting to lead a productive life despite a prior encounter with the law – by supporting the organizations that address those kinds of needs. 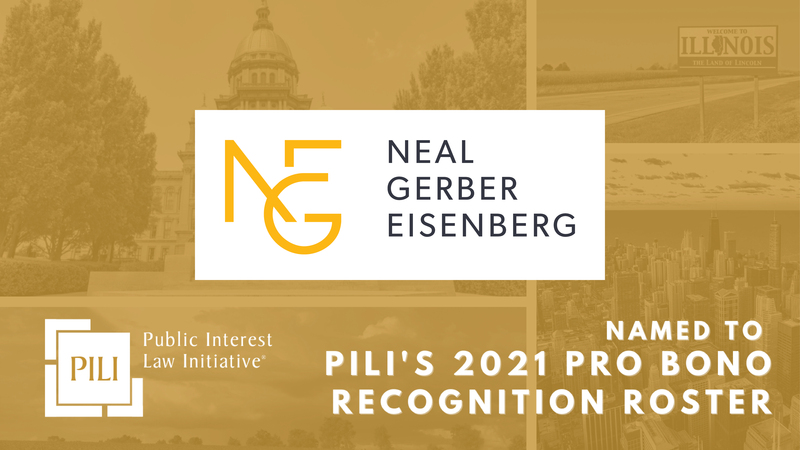 To facilitate achieving our goals, the firm has established “preferred provider” relationships with four nonprofit organizations that provide many opportunities for transactional and litigation pro bono work. We also reinforce our emphasis on entrepreneurship by encouraging our attorneys to go outside this network and bring their own pro bono matters. These projects are self-directed and spearheaded by an individual or group of individuals who share a passion about a certain cause or organization. Recently, our managing partner Scott Fisher joined leaders at more than 165 major U.S. law firms and 185 corporate legal departments to spur Congress to continue funding for the Legal Services Corporation to deliver legal aid to low-income Americans. We work to respond to global needs, protecting victims of human trafficking, defending immigration rights and representing asylum seekers.